Please feel free to look through our new activity guide to see what new classes we are offering or call the Lolly Hansen Senior Center at 831-6240. Also check our Senior Facebook Page for upcoming events and programs! 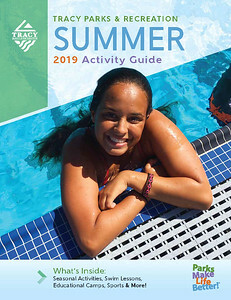 Click on the Parks & Recreation Summer 2019 Activity Guide to search all the new classes and special events at the Lolly Hansen Senior Center. Come relive those high school memories of prom night or experience them for the first time! This intergenerational prom will include both high school students and those young at heart allowing you to bridge the gap and share experiences together. There will be a photo booth, a seated meal, dancing and fun! You will not want to miss this unforgettable evening. Dates are optional—singles are welcomed. Deadline to register: April 3, 2019. Join us for an afternoon of 40's music, swing dancing and treats. There will be a costume contest for the best 40's outfit. Deadline to register: April 17, 2019. Do you need help finding services available to you? Then come to the Senior Center to meet our Senior Link Specialist. 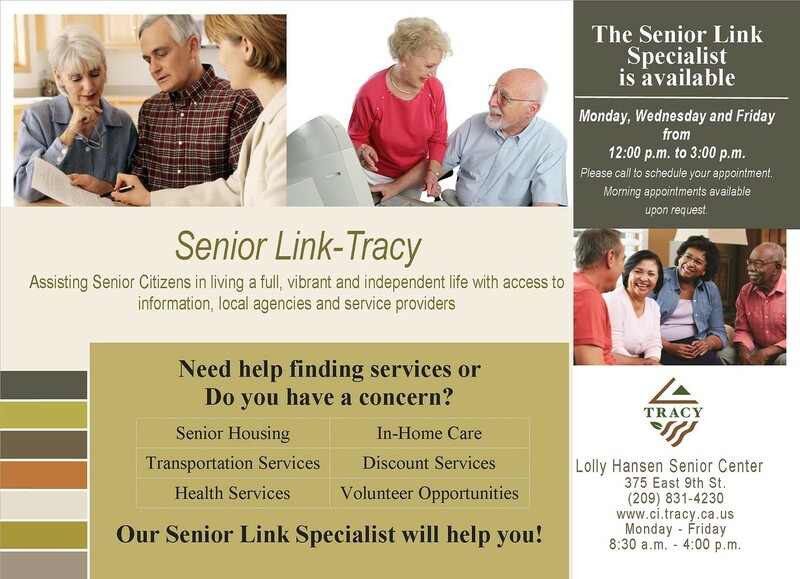 The Senior Link Specialist will be available to assist you in living a full, vibrant and independent life with access to information, local agencies and service providers. Appointments are available on Mondays, Wednesdays and Fridays between the hours of 12pm and 3pm, morning appointments are available upon request. For more information to arrange an appointment, please call 831-6240. Tracy Community Center 950 East Street. The Senior Center will be temporarily relocating its programing and events to the Tracy Community Center due to the highly anticipated renovation. Construction is estimated to begin in August 2018 and be completed by Spring 2019. Please see staff if you have any questions.